– 2nd edition (artist’s edition [American edition]). -Printed by Conveyor Studios, Jersey City, NJ. 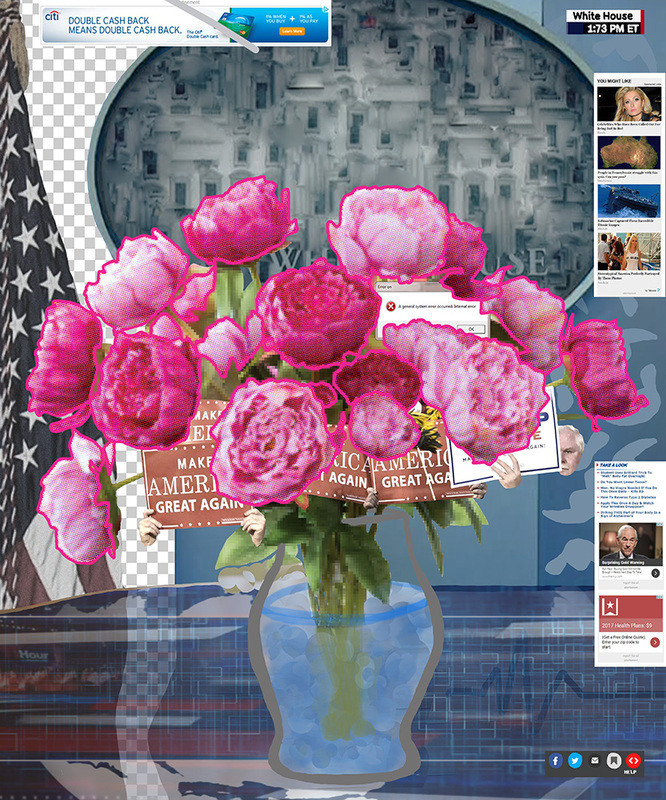 Flowers for donald is a series of digital collage work begun in the days following the 2016 U.S. election. The work borrows the symbolic potency of flowers to act as anchor points of protest, memorial, and reflexive connotations of enduring beauty within the traditions of art history. 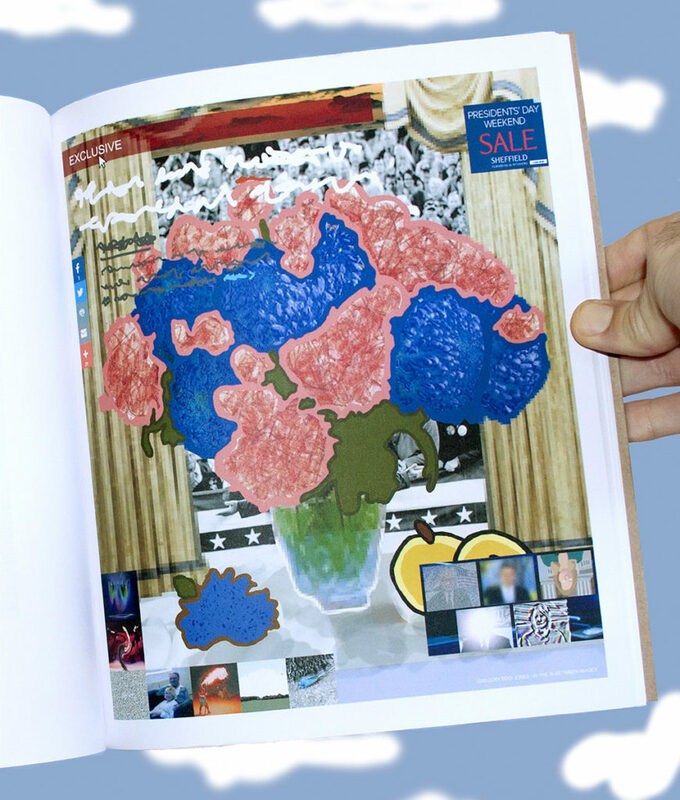 Within the vein of Jones’ Dadist antecedents, Flowers for donald challenges the role and function of art itself in politically turbulent times. Ultimately, the deepest layers of Flowers exist as a testament to the confines of art, and a realization that critical artwork which seeks to mirror its social context is restricted to reflection; within which the visions cannot be touched, grasped or altered; only witnessed. 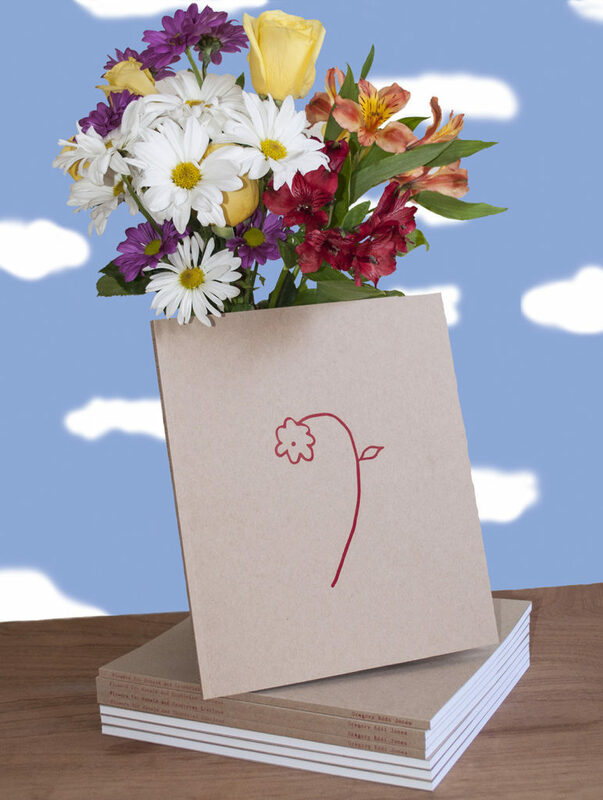 Flowers for donald and Countries Glorious is a new artists’ edition which follows up on the original publication of Flowers for donald by Urbanautica Institute in Spring 2018.